Geoff, Brick and Wil discuss The Walking Dead, Sons of Anarchy, The Game Awards and parking. Don’t miss Brick’s SoA rant involving the events of the penultimate episode. All this and The Weekly Whatchas! The music in the audio program is “Lights” by Phantogram. Geoff talks DLNA, Star Wars VII, HBOGo and Captain America. There will also be a bit of The Weekly Whatchas. The music in the audio program (on iTunes, Zune and Spreaker) is “Messy” by Gabriella Cilma. Geoff and Jordan say farewell to Robin Williams, talk TV and Gamescom news, as well as dole out another episode of The Weekly Whatchas. The music in the audio program is “It’s Too Funky In Here” by James Brown. 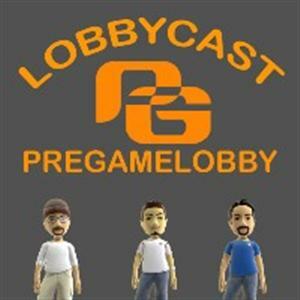 The PGL Lobbycast is Back on iTunes! Rate and Review! Folks, we truly appreciate your patience with all of this iTunes nonsense. To recap, iTunes wasn’t polling our feed after the hosting migration. I tried resubmitting the feed, but iTunes was rejecting it as being a duplicate. The problem there is that the podcast wasn’t showing up in searches of their service. It was really frustrating! The day before yesterday, I did my regular re-submission, fully expecting the same result (not insane) and the feed was accepted and approved! Here’s where we need your help: This show is now, for all intents and purposes, brand new to iTunes. We need you to rate and review the show in order to get us back in the mix and into more peoples’ ears. Will you do that for us? Thank you!